My husband and I found out recently that the number of grandchildren we have is about to increase. It was happy news as we had experienced a bit of a drought for 13 years before our daughter blessed us with a new granddaughter a year ago. Now the promise of more is pretty exciting and the joy of being a grandparent fills me. 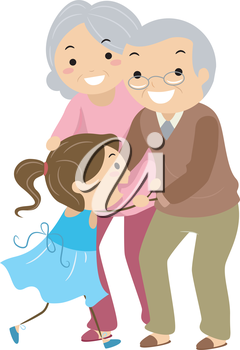 However, as Sept. 8 was National Grandparents Day, the memories of once having grandparents is also present. By the time I was 15 I had lost three of mine. My maternal grandmother passed away just seven years later. It was barely time to get to know them, yet they continue to hold a special place in my heart all these decades later. Even though I know I'm the same way, it's rather amusing now to watch my peers turning into sentimental saps with the arrival of grandbabies. At a birthday celebration this summer, we old friends sat and talked of little else but the adorable things the newest members of our family are saying and doing. We'd all heard the cute axioms about being grandparents (think Willard Scott's "If I Knew It was Going to Be This Much Fun I Would Have Become a Grandparent First"); what we didn't know was how true it is. Then again, these new arrivals probably haven't quite figured out yet the significance of having grandparents. I certainly didn't know way back when how much I would miss having my grandmas and grandpas in my life. Bottom line? They are pretty great to have and it's pretty great to be one.